I have decided even though this car was purchased very recently to sell it, it just doesn’t suit my lifestyle and I haven’t got the room to look after it the way it deserves. (I did trade it in on another sale). 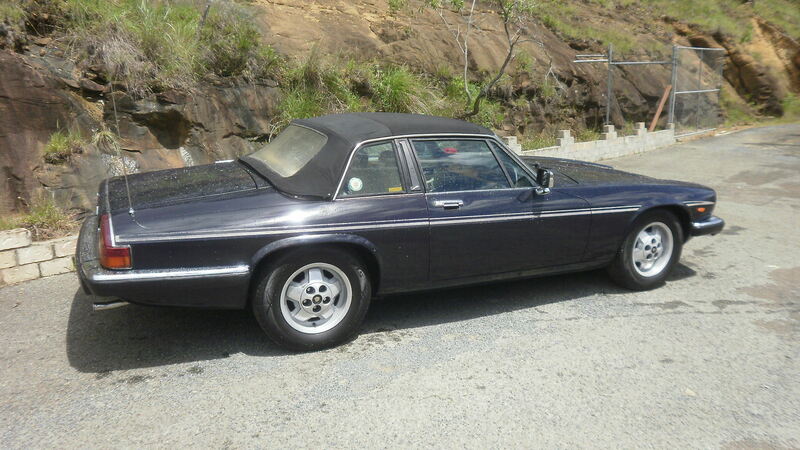 You will read it is a very special and rare XJSC. You will also note it is “PRICED TO SELL” These cars are commanding anywhere between 12 and 26k, This is a buy it now, flick it price so the new owner can spend just a few dollars to bring it back to its forma glory. 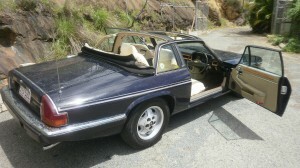 It has a CURRENT Qld safety certificate and ready to go right now. 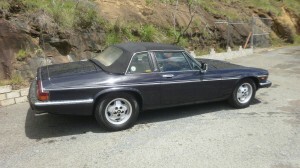 Mechanicly it is in great condition with a very strong quiet , Oil leak free V12. It has got a brand new reconditioned GM400 automatic and drives beautify. Its only issues (and the reason the price is what it is) are 1/ even though from 10 feet away it appears stunning it could do with a paint job, and might get away with just painting the sides. 2/ The rear section of the roof (even though is doesn’t leak)has shrunk and lost some colour and lusture due to the elements. 3/ The cruise control doesn’t work and 4/The amount of Km’s traveled compared to other cars on the market but when you think about it its NOT alot of Km’s based on its year (Only 8,333 km per year). You will also see ‘best offers’ will be considered, try me you will be surprised. Vin 123986 is number 471 of 5,013 built world wide. It is one of only 2 in Clarendon Blue Both in Australia Both built on the same day. I do love this car and I’m not about to rip anybody off but it has to go, I will consider trade or swap on any other model Jaguar.